'Phaeton' (Marky Smith, R. 1992). Seedling# 89-47 A. TB, 38" (96 cm). Midseason bloom. 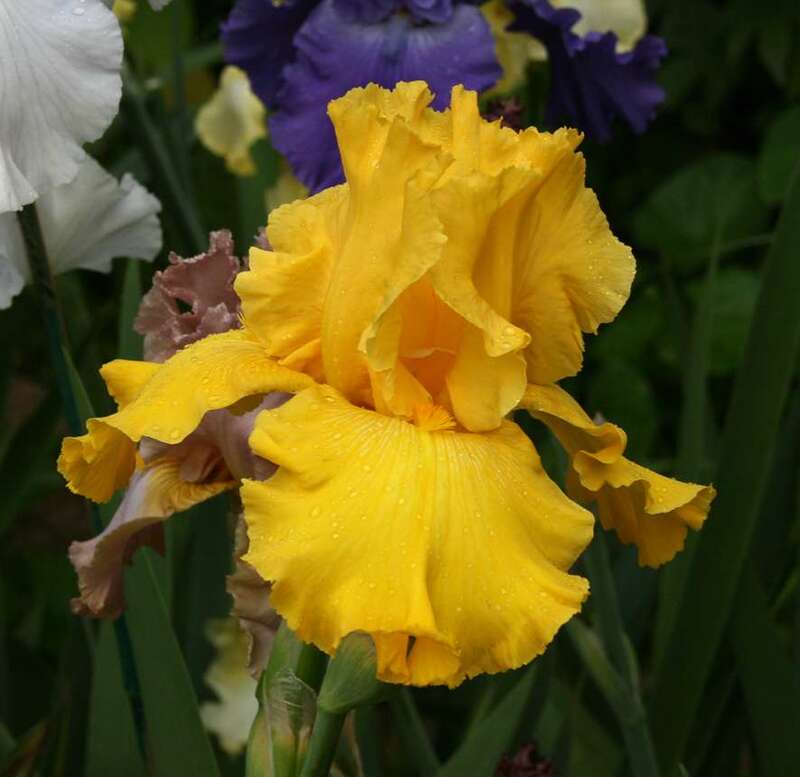 Standards strong yellow; falls more intense yellow (RHS 12A), some white netting around orange (25A) beards; ruffled. 'Bold Gold X 'Gold Country'. Aitken's Salmon Creek 1997.